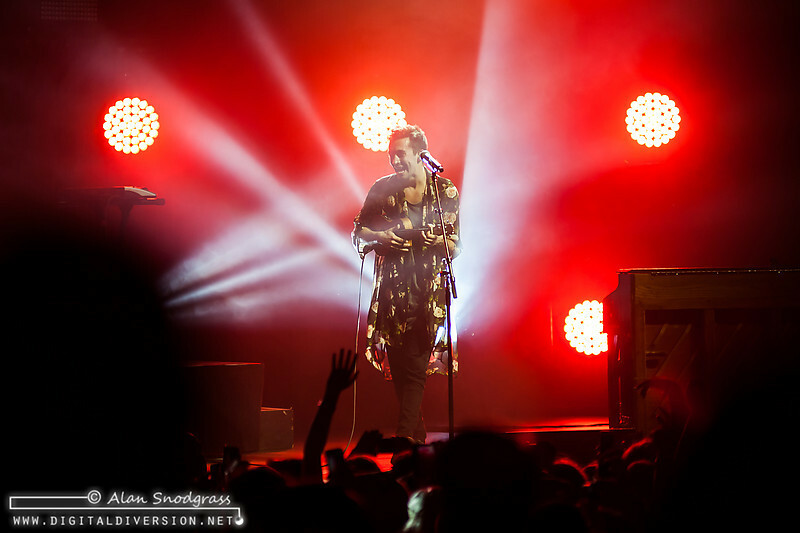 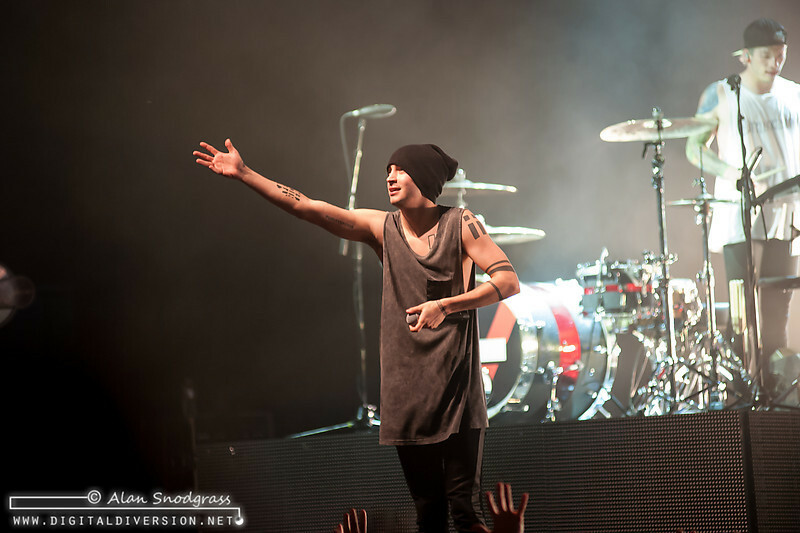 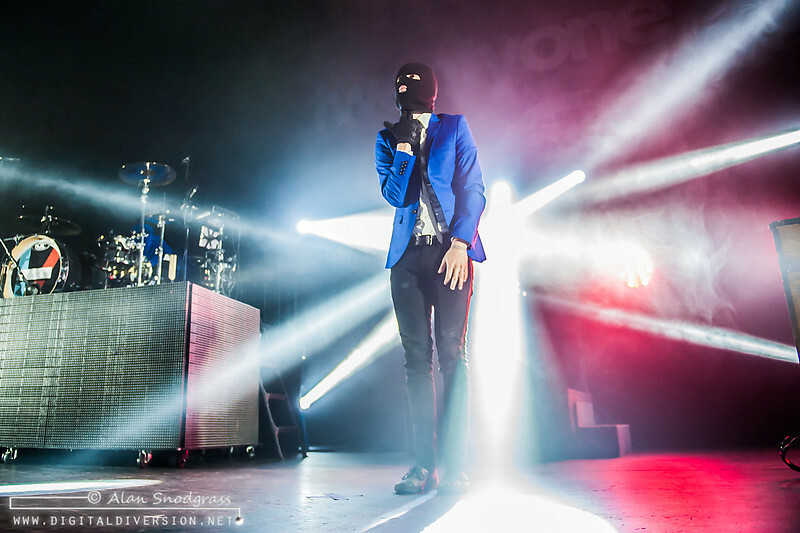 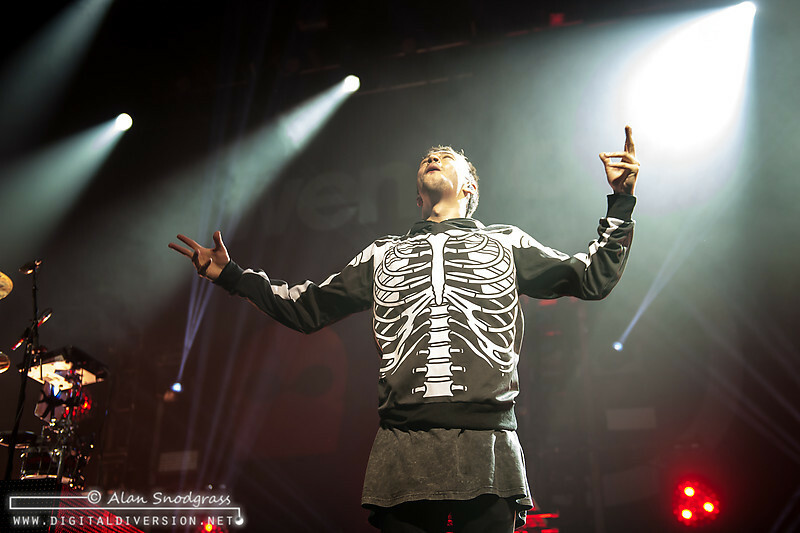 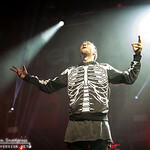 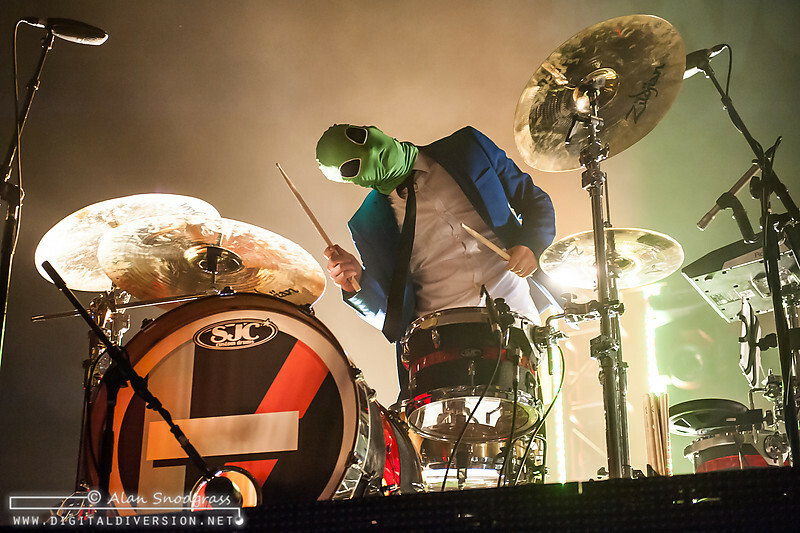 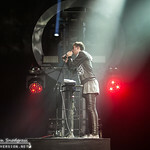 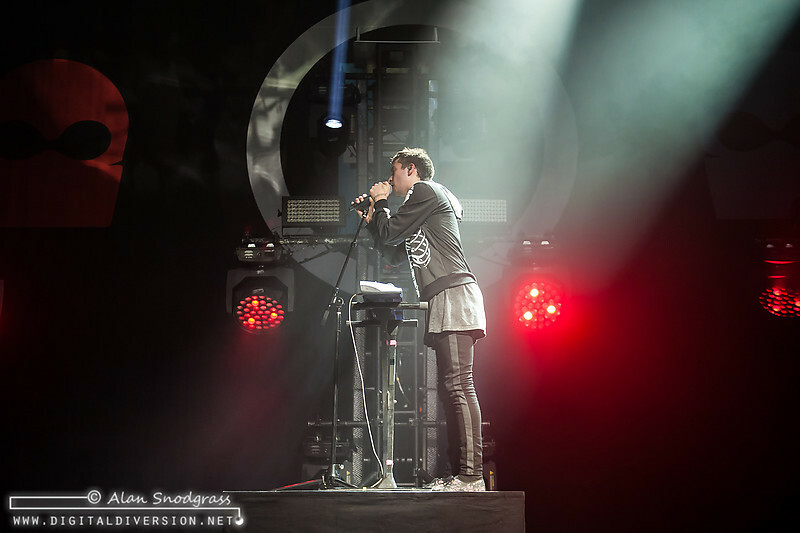 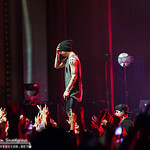 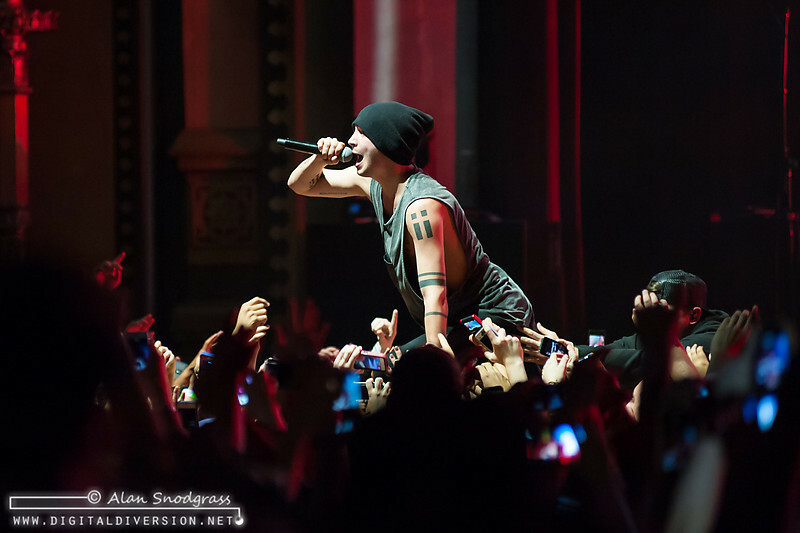 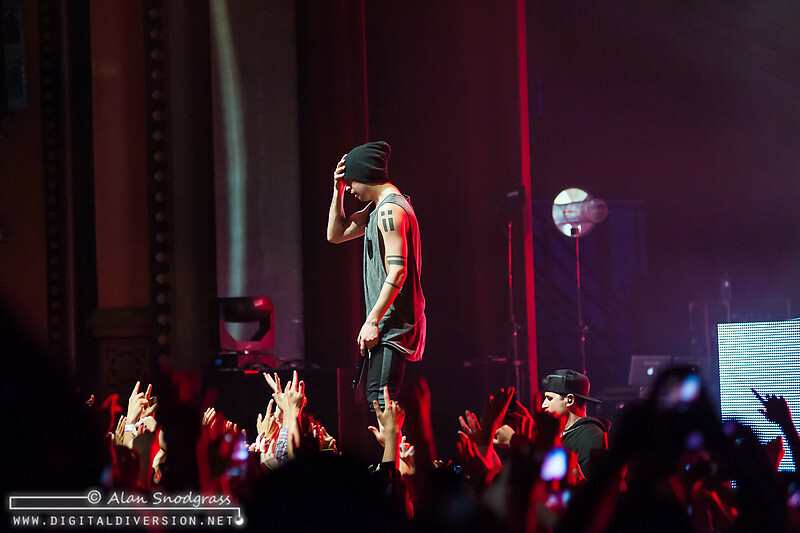 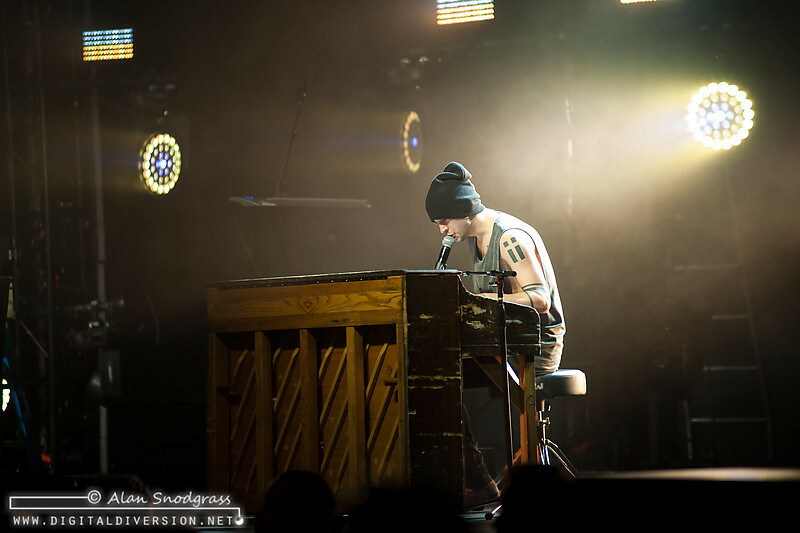 Twenty One Pilots paid a return visit to the San Francisco Bay Area with a stop at Oakland’s Fox Theater on their “Quiet Is Viølent” Tour. 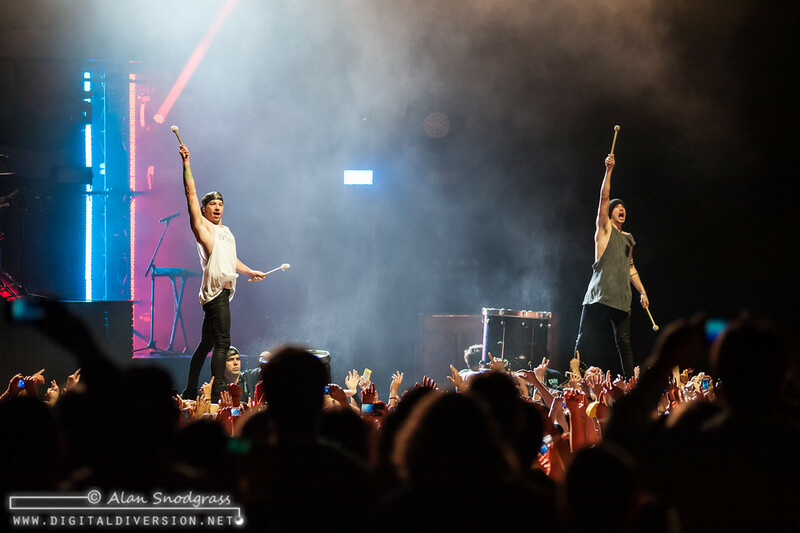 The die-hards were lined up around the corner before the doors opened in order to cram into the floor area, passing the time before the openers took the stage by collectively breaking into song … first Happy Birthday (to whom we may never know) and then Journey’s Don’t Stop Believing. 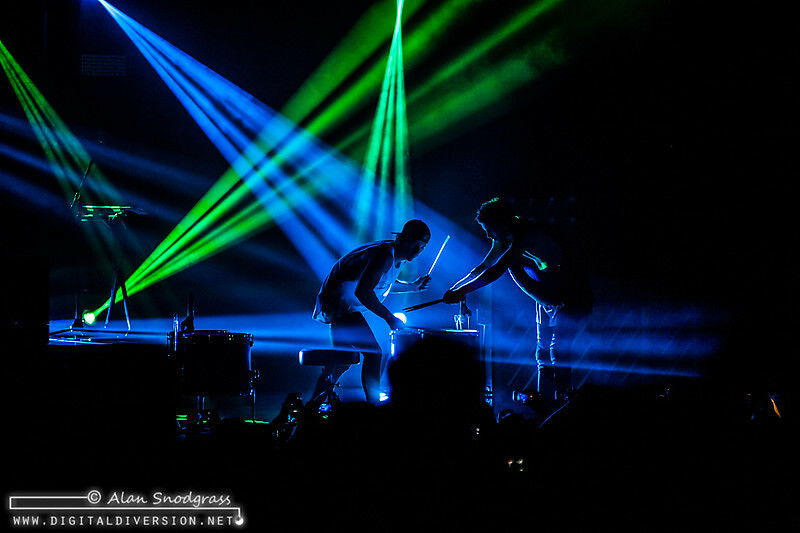 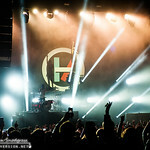 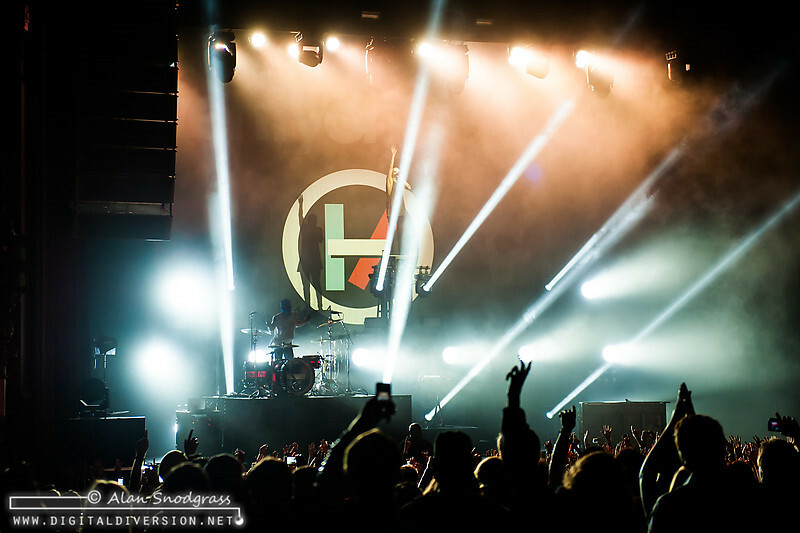 Hunter Hunted and NONONO both kept the crowd engaged but it was clear that the fans were here for one reason … Twenty One Pilots … and when the house lights finally dimmed at 9:45 pm, the Fox Theater erupted. 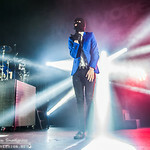 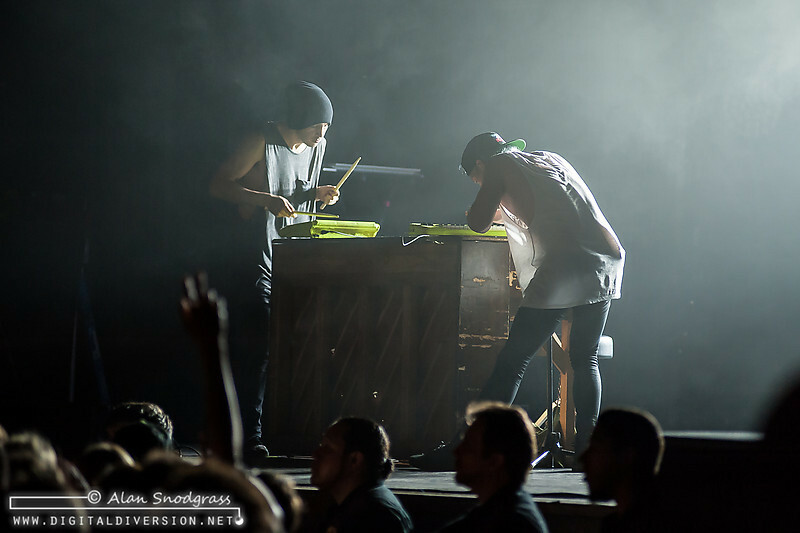 Taking the stage donning their trademark ski masks and ties, Tyler (taking a moment atop his piano to be appreciated) and Josh busted into the intro of Implicit Demand For Proof before segueing into clear crowd favorite, Guns for Hands. 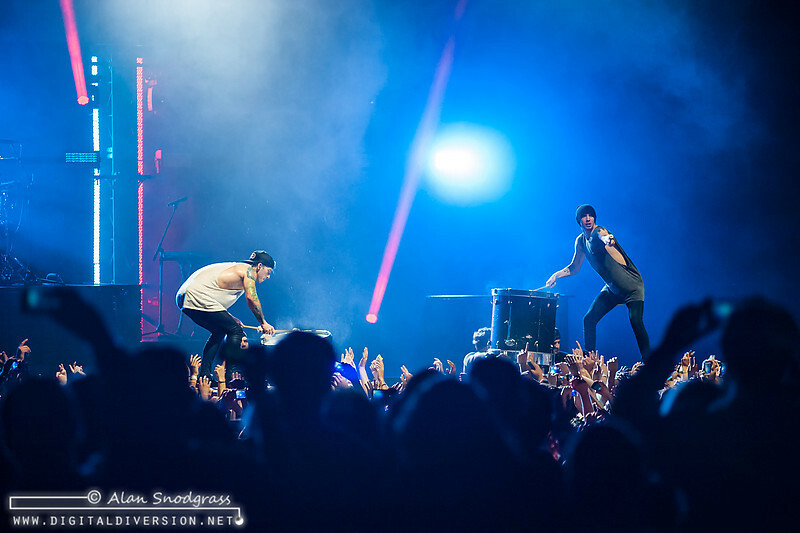 What do you do when you’re only two guys matched up against a massive stage and a few thousand eager fans? 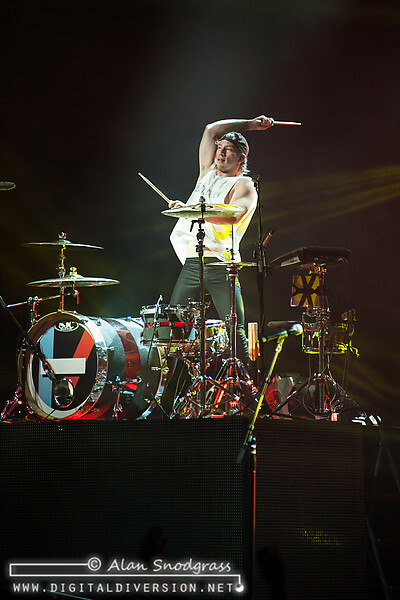 Why rock the hell out, of course. 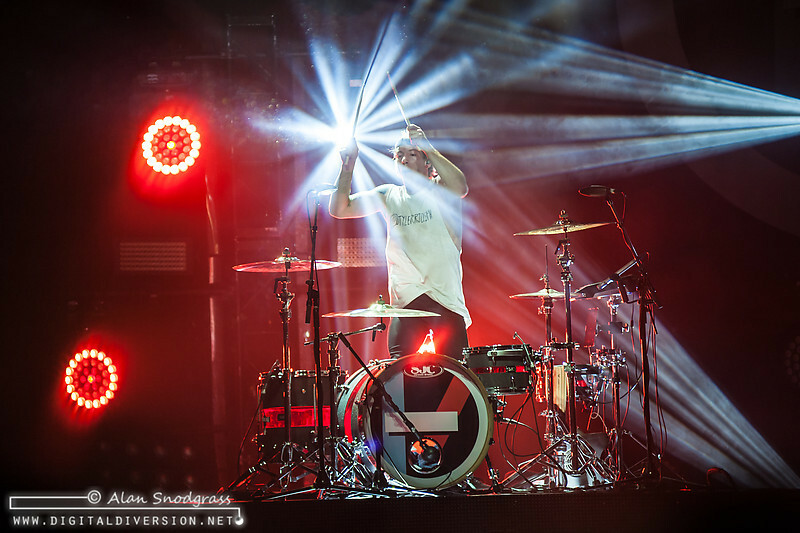 And Twenty One Pilots did just that, all while delivering a performance that has a level of energy that simply cannot be captured on a disc. 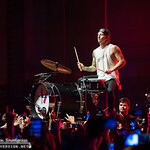 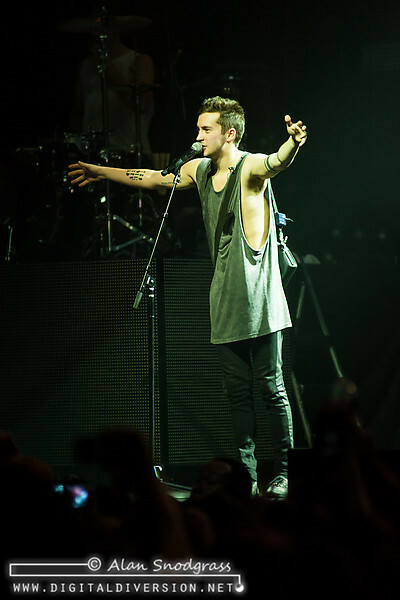 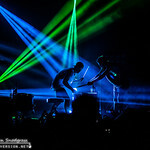 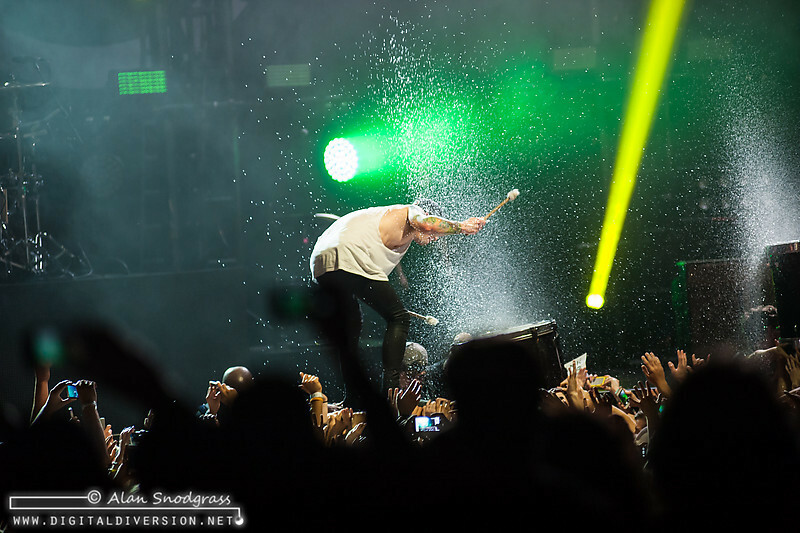 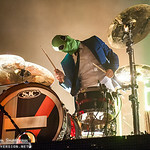 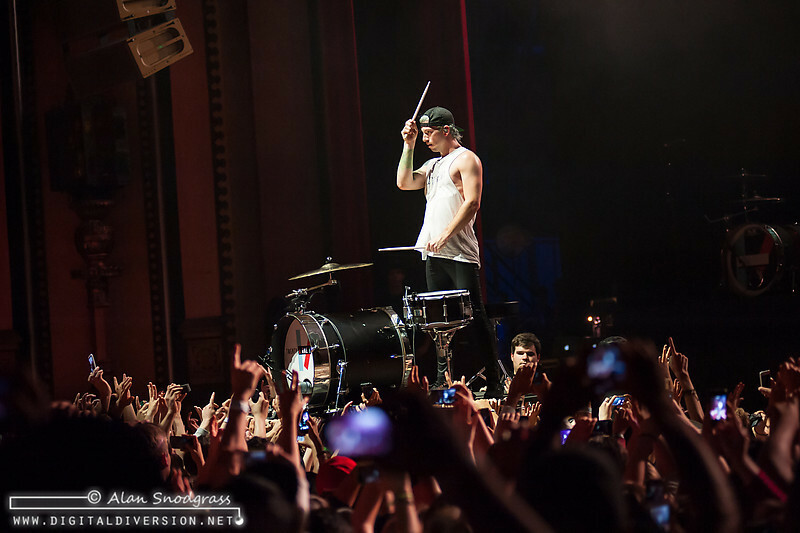 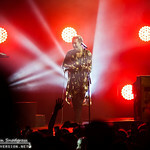 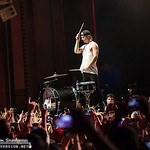 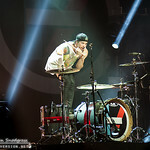 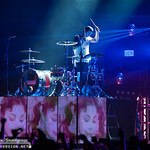 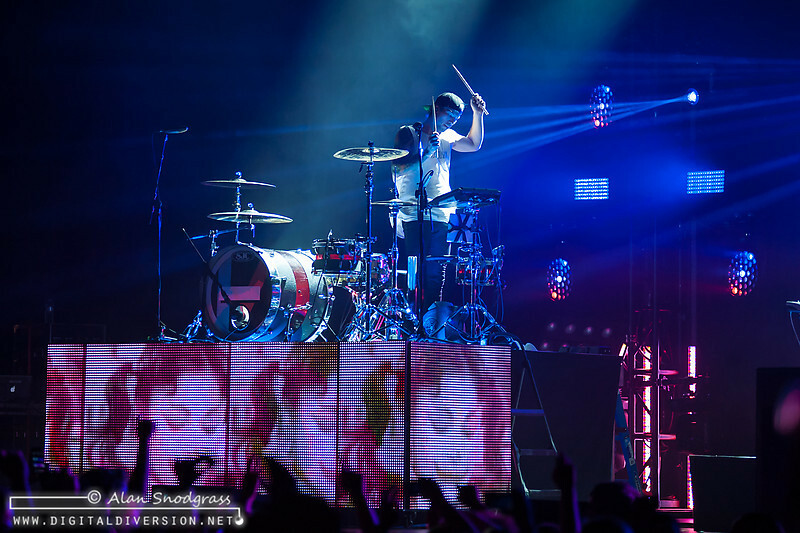 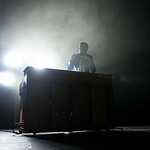 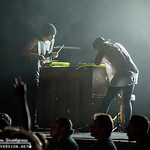 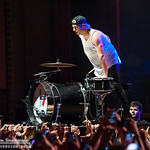 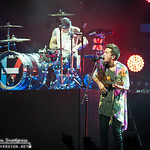 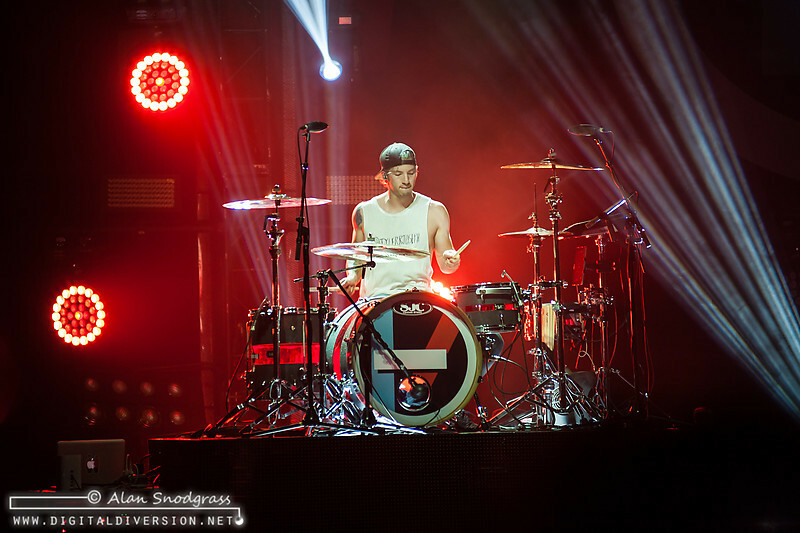 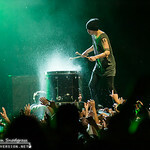 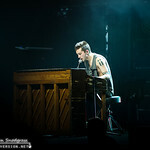 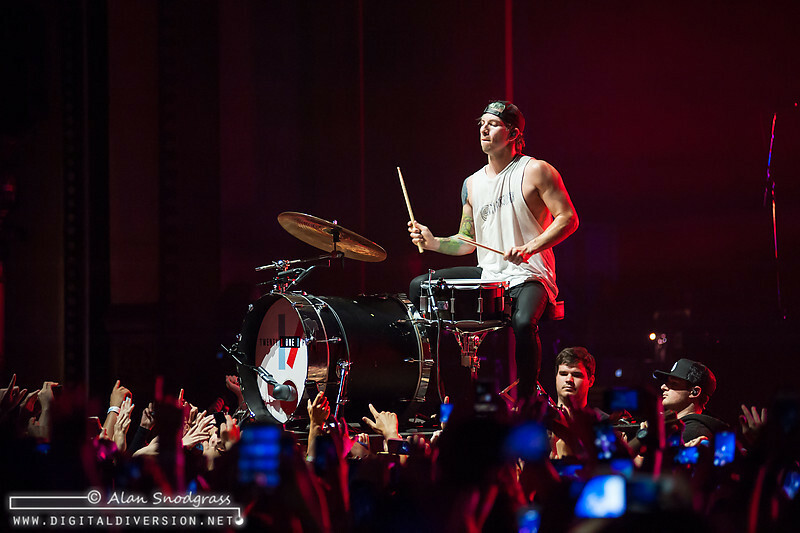 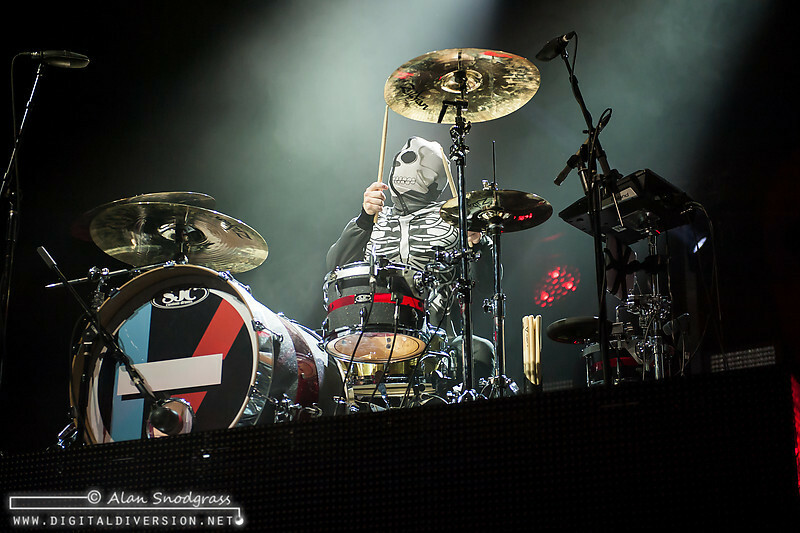 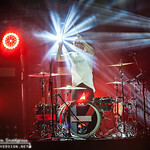 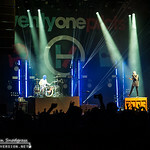 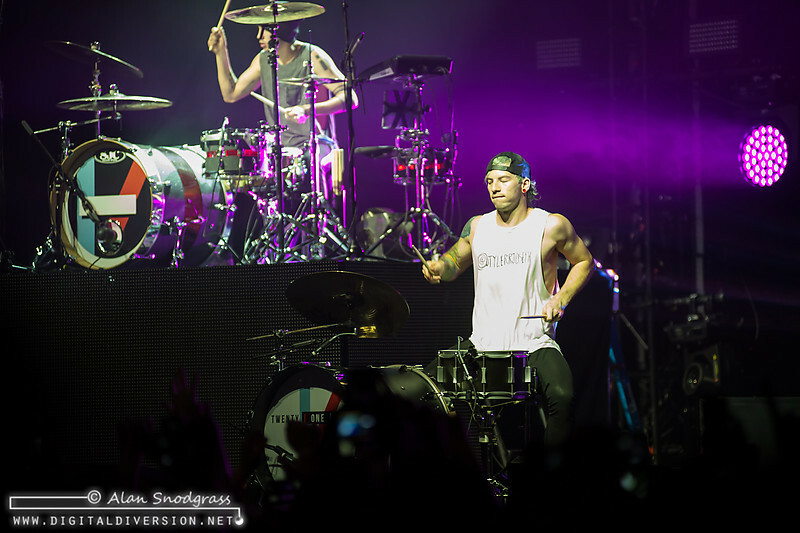 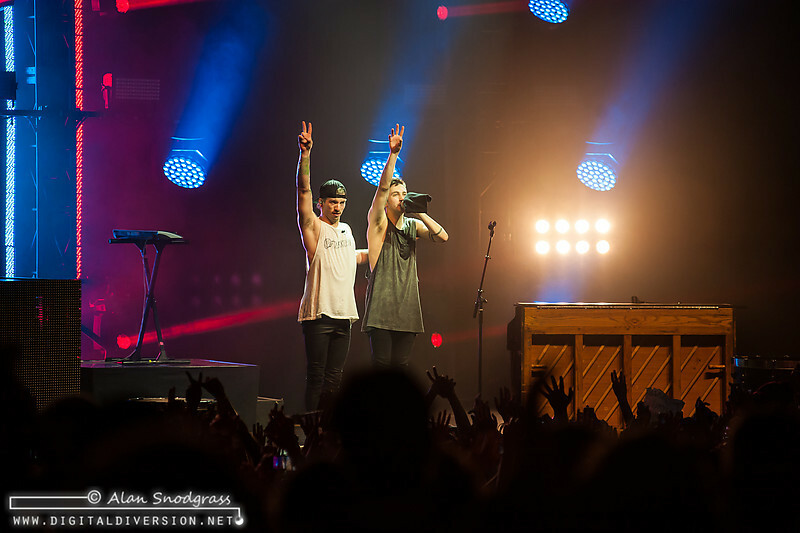 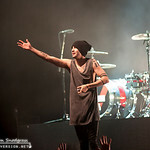 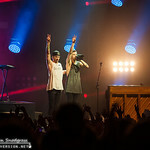 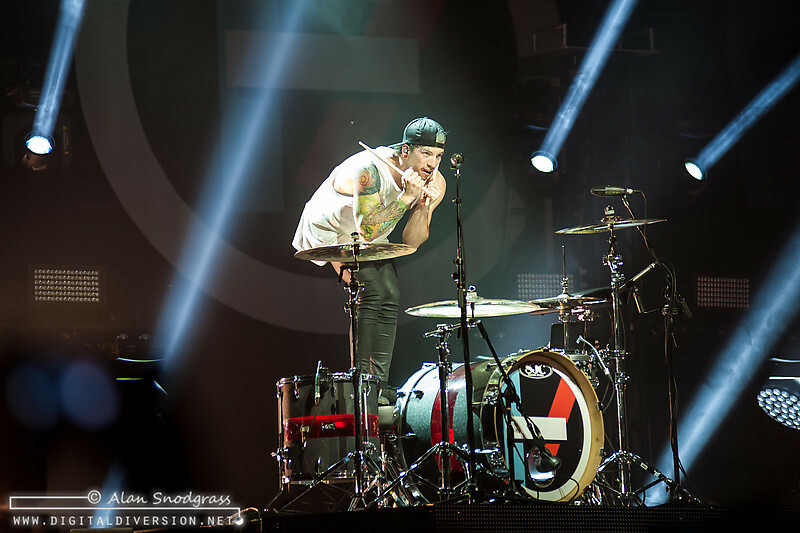 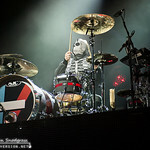 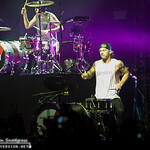 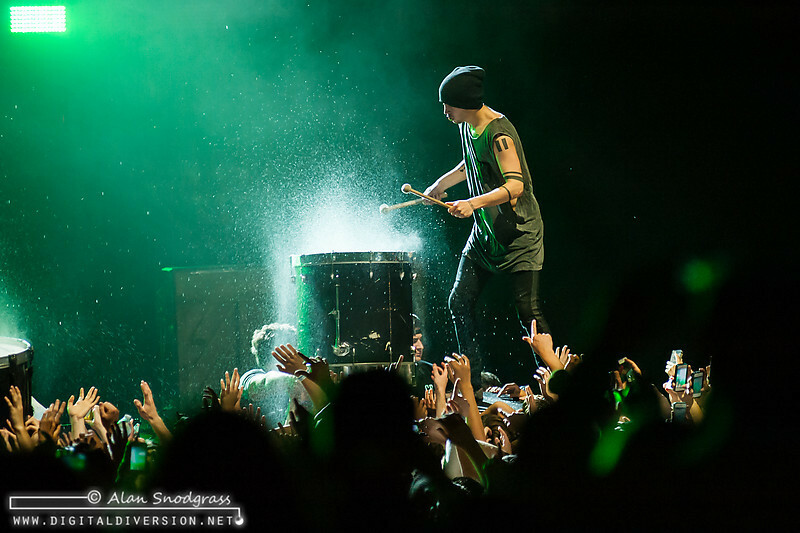 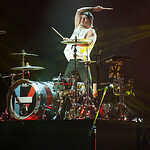 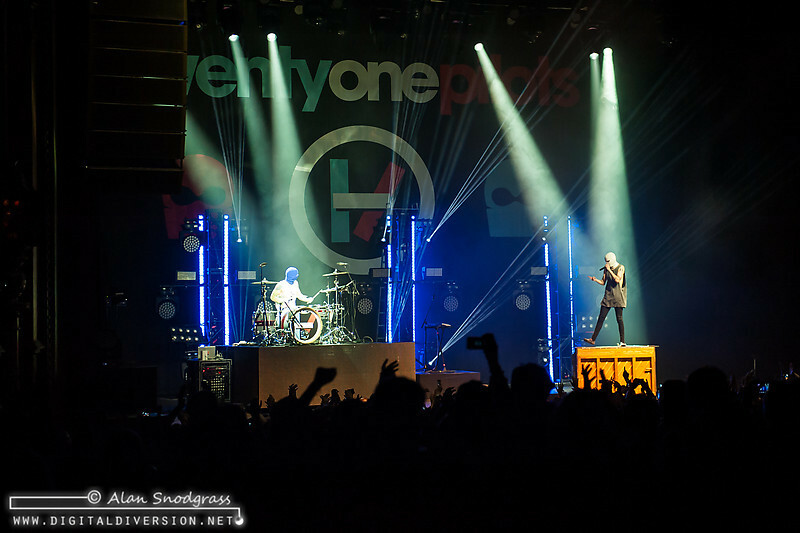 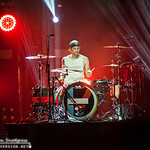 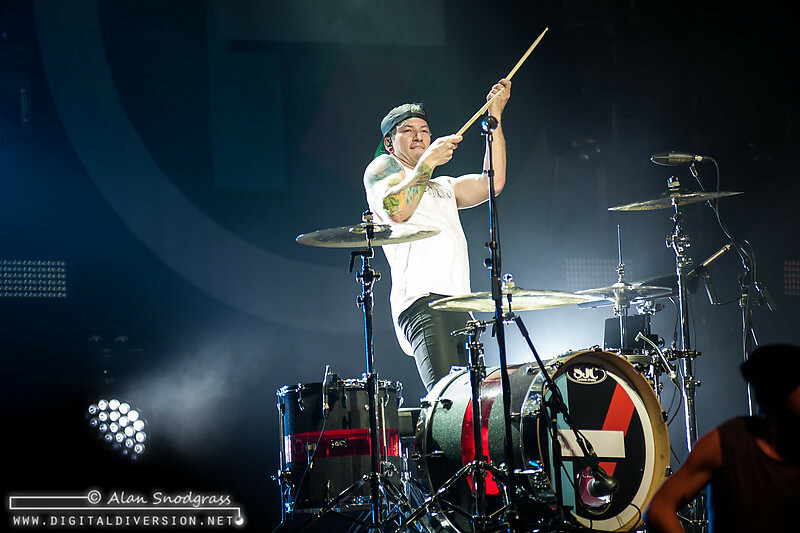 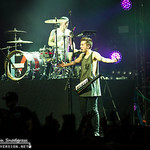 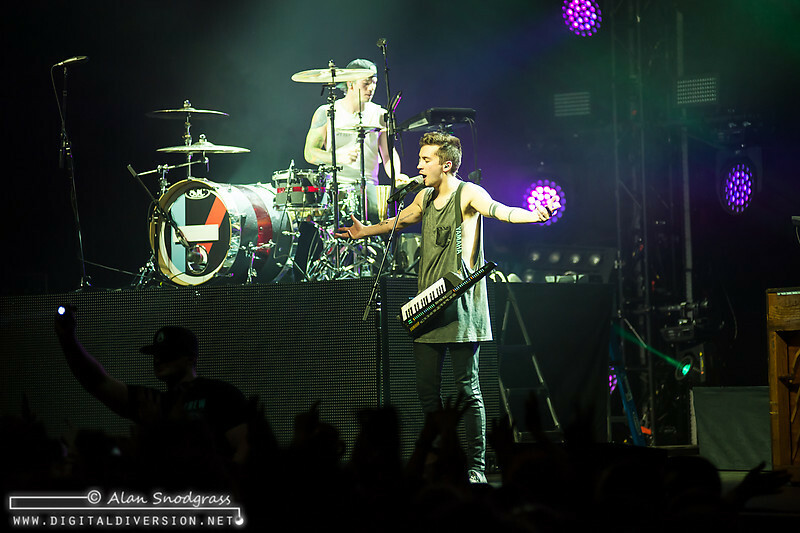 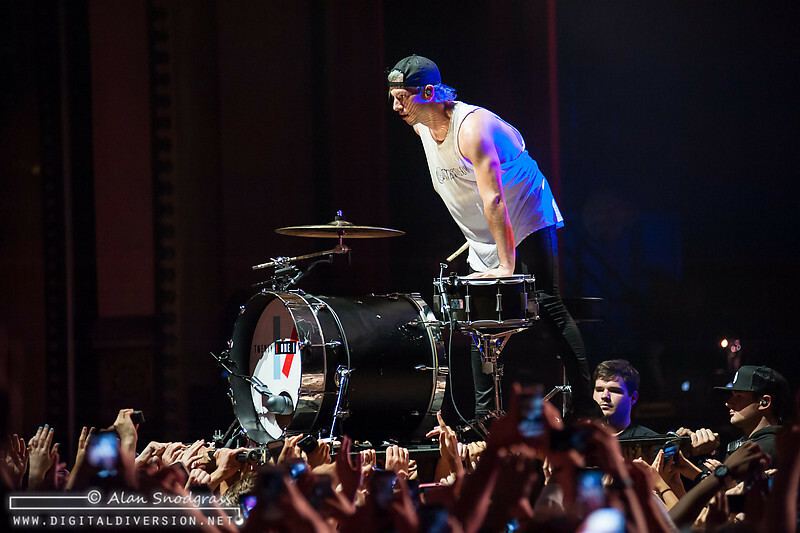 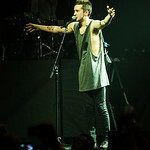 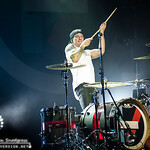 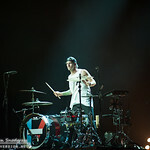 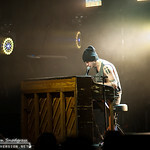 Josh Dun thumped-away behind his drum set atop a huge platform while Tyler moved back and forth between his stand-up piano and center-stage. 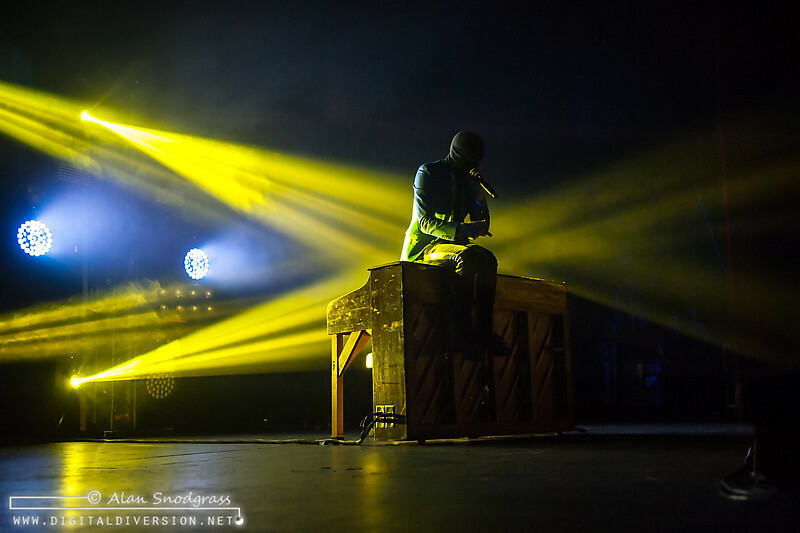 Simply, it must be seen to be appreciated and twenty one pilot’s energy is what has earned them the hard-core fan base that they have today. 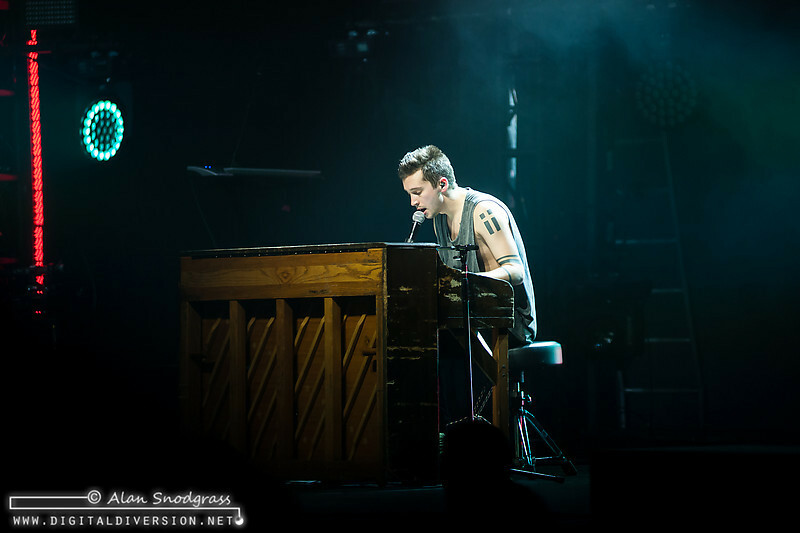 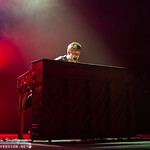 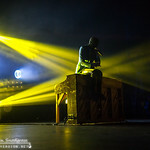 Tyler uses every inch of the stage, employing his piano as a launching pad whenever he as a few moments between choruses and never missing a beat … even when he manages to knock said piano over during one of those flyers. 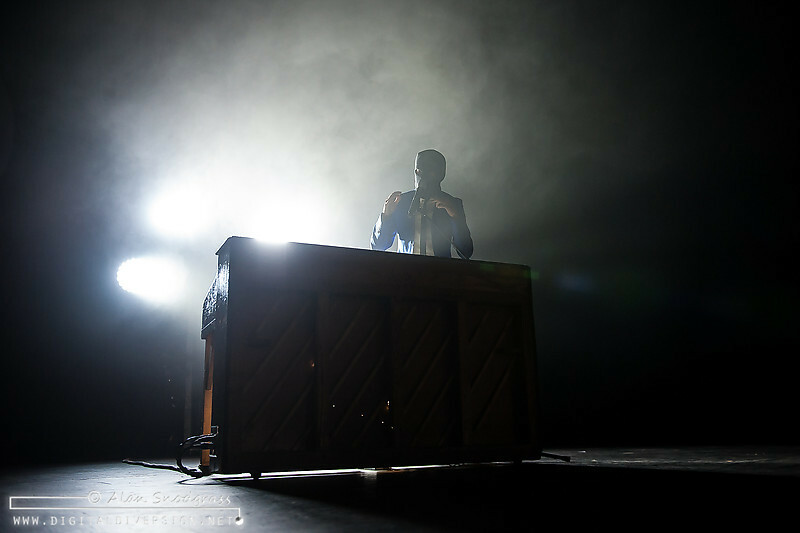 It may seem strange, but even that loud “thump” of the piano slamming into the stage seemed to fit right in with the performance, as if it hit the stage right on-beat (thankfully, once righted by the stage crew it seemed none the worse for wear). 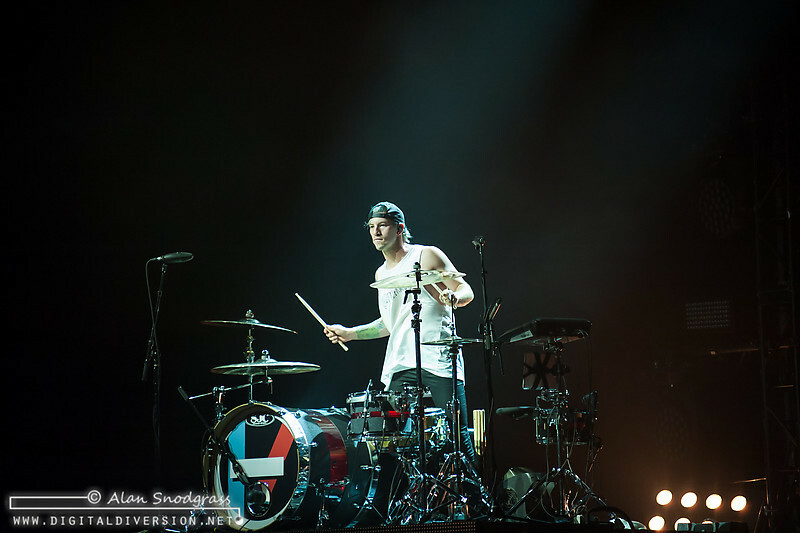 Not to leave all the work up to Tyler, Josh (who gets bonus cred for wearing a 7 Seconds Walk Together, Rock Together t-shirt in their video for “Mad World”) once again proves that he is one of the most dynamic drummers out there today; big moves, high energy and solid beats. 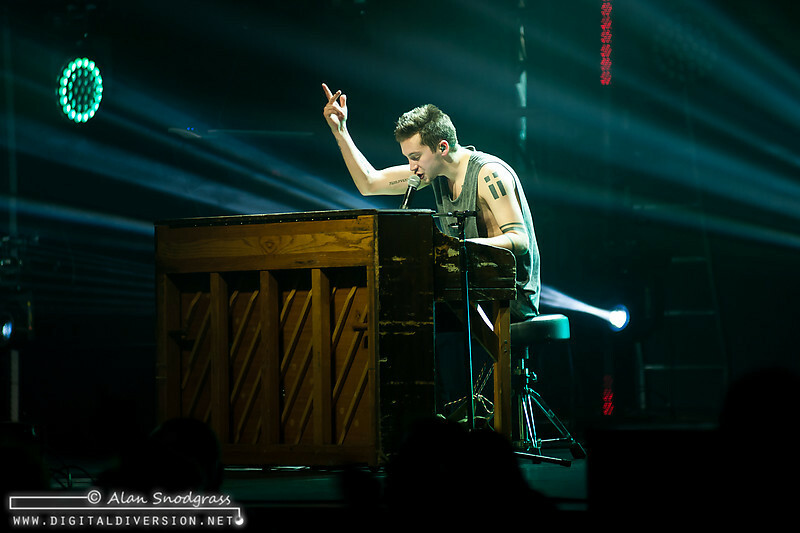 And it doesn’t hurt that he can stick the landing on a back flip off of the piano. 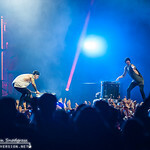 With crowd surfing, back flips, a crowd-supported drum platform, multi-instrumentalism and more wardrobe changes than a Lady Gaga concert (hats, masks, hoodies, some sort of flowery robe that went with the ukulele … it seemed like every time you turned around they were wearing something different), the energy level was through the roof but never once did the music suffer because of it. 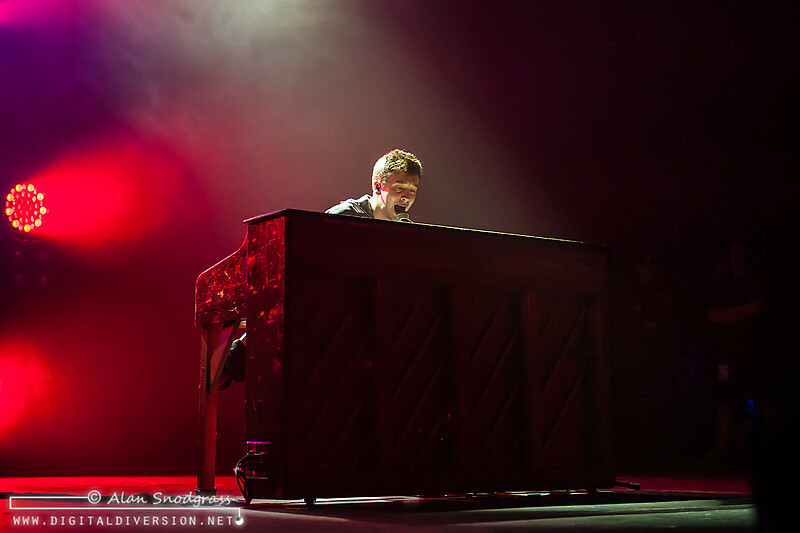 Even when slowing the pace a bit e.g. 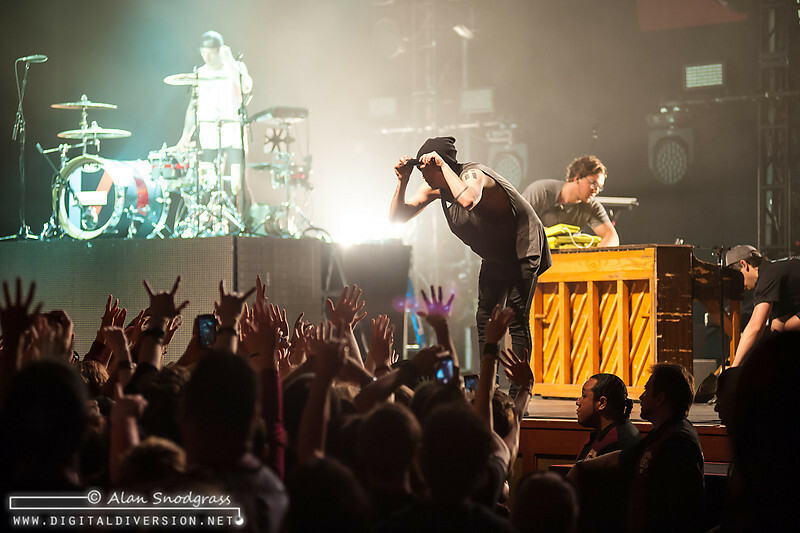 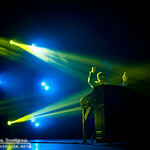 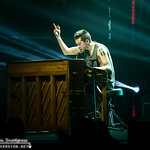 Mad World), the guys still managed to keep the audience hanging on every note. 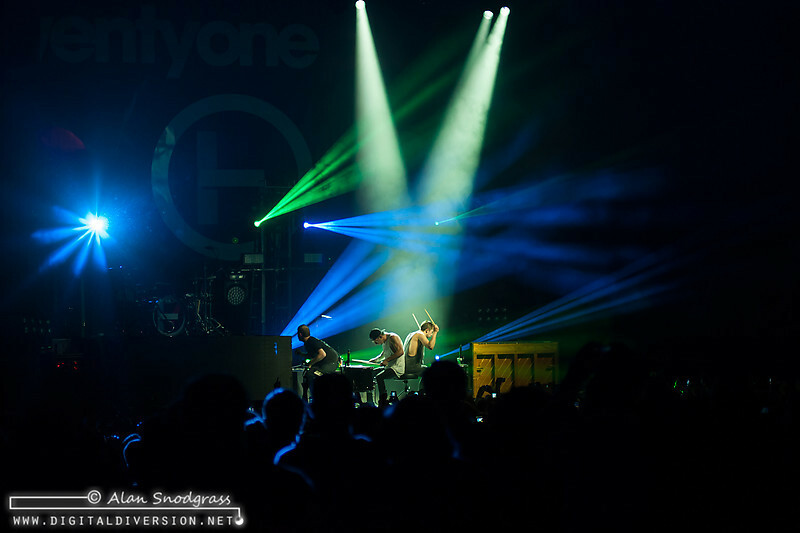 Clear vocals, on-point queues and … worth mentioning again … solid beats. 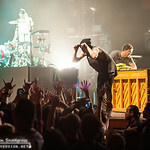 The set went by way too fast and when Tyler introduced Fake You Out as their “fake last song,” the realization that the show was soon coming to an end started to dawn on the crowd, many of whom held up “Thank You” signs when 21P returned for their two-song encore before eventually taking their bows. 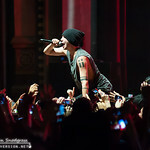 After an hour and twenty minutes, the crowd exiting the Fox all-smiles but not before literally mobbing the merch table. 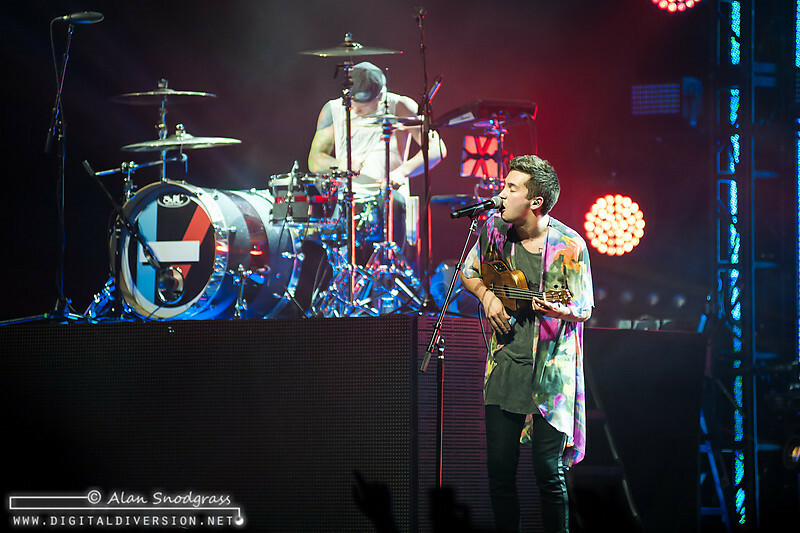 They may be only two guys, but after watching twenty one pilots, it’s hard to imagine them fitting on some of the smaller stages coming up on their tour. 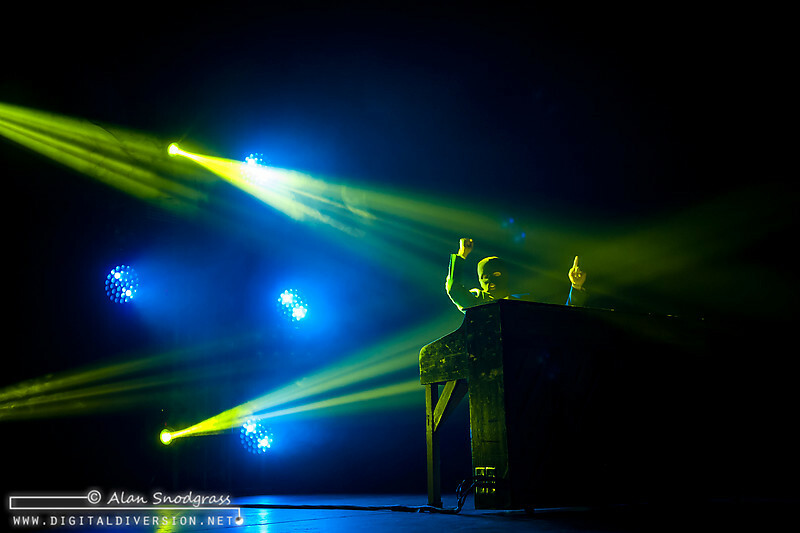 Check here for remaining tour dates.